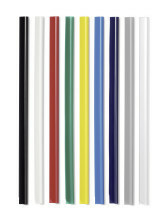 Handy combined pack of 100 ready assembled 6mm spine bars and transparent A3 (folded to A4) glass clear report covers. For use with spine bars to protect unpunched papers. 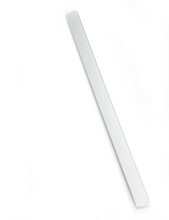 Suitable for use with all DURABLE spine bars. 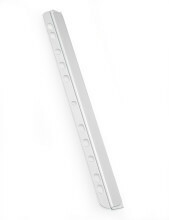 Spine bars with filing strip for versatile binding and filing of unpunched papers. Length: 297 mm (A4), Binder Width: 14.5 mm, Depth cap: 3 mm, Capacity sheets: approx. 30. 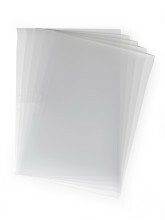 Clear polypropylene report covers ensuring lasting protection for all unpunched documents. 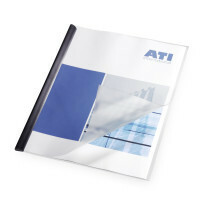 The attractive, unique binding system for presentations, handouts, seminar and training course documents etc. Filing strip fasteners made of plastic. 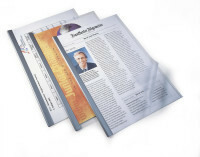 With plastic bar and universal punching for filing brochures, catalogues and magazines, size A4.